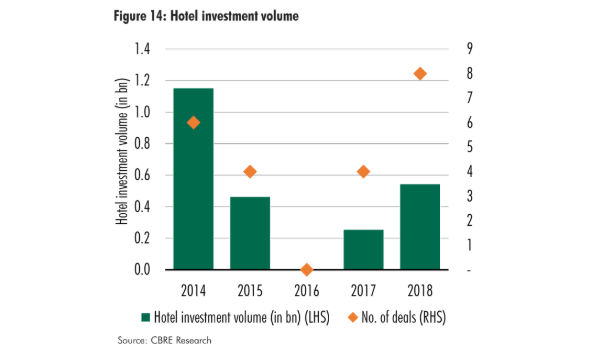 This chart from CBRE Research shows that hotel investments more than doubled to about eight deals for a total of about $500m in 2018 from just four deals worth $200m in 2017. The research firm noted that no deals were secured in 2016. The momentum is still on in 2019 as January welcomed the three largest hotel transactions in the past four years, CBRE said. Amongst them are the sales of the Mercure and Novotel Hotels by Oxley for $950m, a tender award for the Club Street hotel site for $562m and the sales of the Ascott Raffles Place for $353.3m. 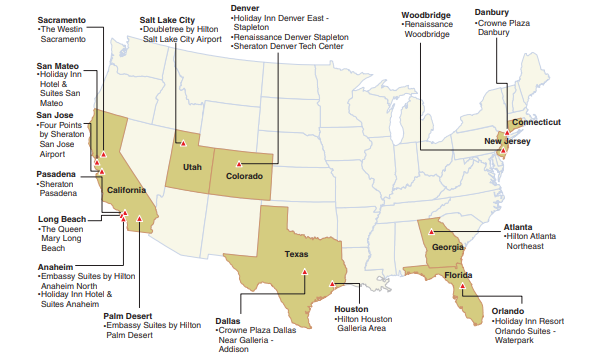 Before 2016 when hotel investments reached its lowest point, 2015 saw four hotel investment deals worth about $400m. Meanwhile, 2014 was a remarkable year for the sector as investments hit almost $1.2b with six deals inked, CBRE Research noted. In a previous report, Maybank Kim Eng said that they were optimistic towards the hospitality sector and prediced a RevPAR growth of 5-8% in 2019 to 2020 amidst contracting room supply coupled with increasing visitor growth and occupancy.